SquigglyTwigs Designs: Tuesday's Tute: Sewing Machines...how, what, where, how much?????? 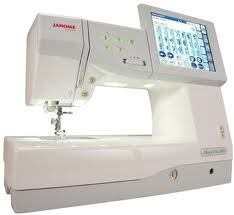 Tuesday's Tute: Sewing Machines...how, what, where, how much?????? This week's post isn't our usual type of tutorial. 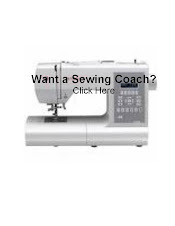 I'm going to address my most frequently asked questions.... Where to I get a sewing machine? What kind do I get? Do I have to spend a lot? Should I just get the $50 special at the super store? First I'm going to address the super store question. Honestly it's the easiest. No, No, No. Do not buy an inexpensive machine from a chain store. You can do better for the same or less money. In all of the classes I've taught, these are the most problematic machines I've seen. Not to say all of these machines cause problems, but many do. Also...the higher end machines at the chain store can do a nice job...but I'm talking about spending a few hundred there, not the under $100 special. Next. Where do I get a machine? The best answer, if you have $100 to spend. Is a dealer who will include free lessons. You can get a nice and great working machine for $100 at a dealer. The free lessons will be invaluable as you learn. You should be able to negotiate the free lessons, if they are not already included. The $100 dealer machine will be a simple mechanical (not computerized) machine. It should do a zigzag stitch, have an adjustable stitch length, and have a reverse option (used to "knot" the ends of your seams). This is all you "need" to sew basic things. If you have an unlimited budget and have never sewn, the dealer is still a great place to go...free lessons. Be careful that you don't buy more machine than you can handle. Don't get overwhelmed with bells and whistles. I've had my machine for 20 years. It has a lot of stitches. Most, I've never used. Extras I like are the button hole stitches, a few small embroidery stitches, the triple zigzag, and the overcast stitch. I paid a lot, but got a quality machine that has been a workhorse for 20 years. Durability here was my key!!! I asked the dealer for the "toughest and most durable" machine he had within my budget. No dealer nearby...shop online. I've dealt with Ken's Sewing Centers and love them. They sell new, used, and refurbished. They sell supplies. And, they service. Mostly, they're customer service is absolutely wonderful. Now for those who are looking to spend little and get "big" results. I love this part. It is possible to get a great machine for free. Yes, you read correctly. Start by asking friends and relatives, acquaintances..... You never know who has a machine in the closet. If it doesn't have a manual, find one online and get to work with it. At most it needs serviced. Although, most things you can service through the manual. Another free place is http://www.freecycle.org/ or even Craigslist. Be careful to always meet in a public place for this. You may take in a few junkers, but free may be worth the effort. By the way, if the free machine isn't worth fixing you may find it as a helpful trade at the dealer...or they may be able to reuse it. Don't toss it. Inexpensive sewing machines (under $10)...can be found at thrift stores and garage sales. Take an extension cord, thread, and fabric scraps with you. Give it a basic spin. You'll be able to tell if it works at the store. Check the store's return policy. If they have one, take it home and work it over. Again, it may need some service. Use your manual. If it needs more, take it to visit the dealer and ask for a look over and fix estimate. If the fix estimate is too much, return it and try again. A good dealer will give you the time of day. They'll want your business one day.... If they won't help you, kindly, find another one who will. A few extra tips: Heavy is good. Older is good. These are mechanical and made with metal. Easily fixable. 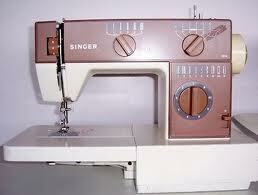 Great older machines are made by Bernina, Viking, Kenmore, Pfaff... Lighter and newer may not be as good. Newer models vary so much in quality that I can't give you a definite reliable brand at this time. Some of these are made with plastic parts and meant to be throwaways. Also, ask the sewing machine fix it man which (newer) models he sees most often and then stay away. And...google reviews and read them. One review doesn't make or break a model, but many, good or bad, can help make your decision. When it comes to free or $10...just go for it!!! You may find a diamond in the rough!